From its inception, the law firm of Royal & Miles LLP has been committed to delivering the highest level of legal service to its clients in a cost efficient manner, while working aggressively to achieve the best possible outcome. Our attorneys are experienced trial litigators, regularly appearing before Nevada’s State and Federal Courts, and are admitted to practice before the Supreme Court of Nevada, the Ninth Circuit Court of Appeals, and in the State of Utah. 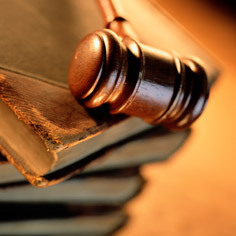 Experienced staff facilitate and expedite cases, litigation procedures and legal transactions for our clients. We also take great pride in our strong commitment to counseling with our clients and addressing their specific needs. This has allowed Royal & Miles LLP to provide the aggressive litigation style of a large law firm, with the personal care and individual client attention of a small firm. All of these factors allow Royal & Miles LLP to provide effective,cost efficient litigation service to our clients, with proven results, that have culminated in our receipt of an “AV” or “Preeminent Legal Ability” rating from the foremost legal directory Martindale-Hubbell. We will continue to maintain our commitment to the time-honored values of honesty, integrity and professionalism in managing every case and every matter for all of our clients.